It is hard enough to browse the Web using iPads and other tablets because of the smaller user interface and key boards present on them compared to laptops and PCs; let alone using an iPhone. Phones do let down the users on the level of ease with which you can browse through the Web on laptops and desktops, especially when it comes to using your favorite Web Apps such as Facebook, Twitter, Google Chrome etc. But in the case of Jailbreak devices such as iPhone, iPod and iPad, thankfully there are a bunch of exciting and efficient tweaks that make the user experience on these devices that much more easier. Here, we have compiled a bunch of Cydia Tweaks for iOS 7, paid and free, that can improve the browsing experience of the user on iPhone, iPod and iPad remarkably compared to the default iOS 7 Web Browsing apps available on Apple’s App Store. All of these tweaks have a long list of some serious functions and comforts that iOS 7 users could not access previously. There are tweaks that let you access Facebook faster and also those that can keep your Safari browsing history private. Then, there are tweaks that let you paste a URL into the address bar directly from clipboard. All of them are described in detail below. a) Prevents the bottom navigation bar from hiding on scroll when you are in Portrait Mode. b) Gives an Open in Chrome button option in Sharing Menu. d) Paste and Paste & Go options are provided in the address bar so that you can paste any URL from the clipboard and submit. e) You can close all pages at a time. f) You can switch from the Preference Panel and Safari with a single tap. g) A simple ‘long press’ on Bookmarks, History, Reading List and social tabs will give new options to manipulate those tabs. h) You can add all open pages to Reading List or Bookmarks. i) You can add Home Page shortcuts. j) You can enable/disable full-screen mode. k) You can insert search submissions without submitting just like on a PC. One cannot mention all the functionalities that Canopy provides. We hope we’ve covered all the important features of this cydia tweak. a) Download files from the web directly. d) Supports a wide range of file types. e) This tweak is fully integrated into Safari, so you can manage all your downloads from safari directly. f) After downloading, you can export your downloads to any app like VLC, iFile, Dropbox etc. g) It supports a wide range of file types. 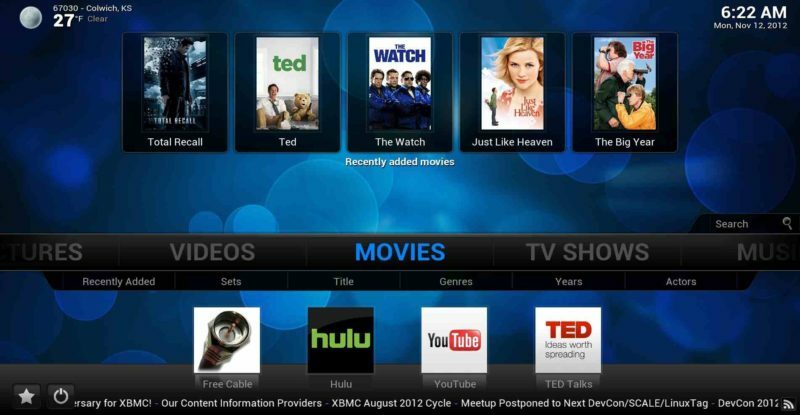 h) It also supports the new 64-bit devices and also iOS 6. 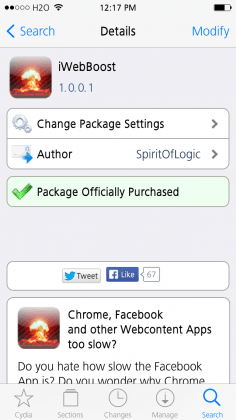 There are a few more additional advantages to this Paid Cydia Tweak. It is priced a bit on the higher side at $3.50, but it can be said that the tweak fully worth it. Thankfully, it is tweaks like iWebBoost that have cracked the script and made it available in the form of a simple download on Cydia. After using this tweak you will definitely be able to see a significant improvement in loading the web pages in your entire web using Apps like Facebook, Twitter, Google Chrome etc. Supposedly it increases your browsing speeds by 40% to 80% on the Web. Those of you using iOS 7 may or may not know that there is a limit to the maximum number of tabs you can open in a Web Browser at a time on your device. This limit is set to 24 tabs as default in iOS 7 by Apple. In case, you need to exceed 24 tabs and want to use unlimited no. of tabs on your browser at any time, tweaks like Tabby do exactly that. 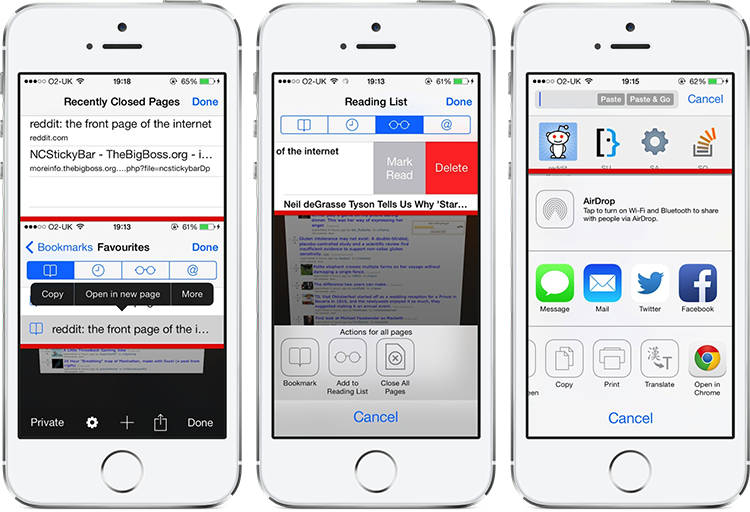 Tabby takes OFF the limit of maximum 24 tabs in web browsers on iOS 7 and sets it to unlimited. Once this tweak is installed, it cannot be configured. Sometimes, you may face a situation where you want show something on your device to someone for a while, but you don’t like to share your web history with that person. SafariAlwaysPrivate is a tweak made exactly for that purpose. 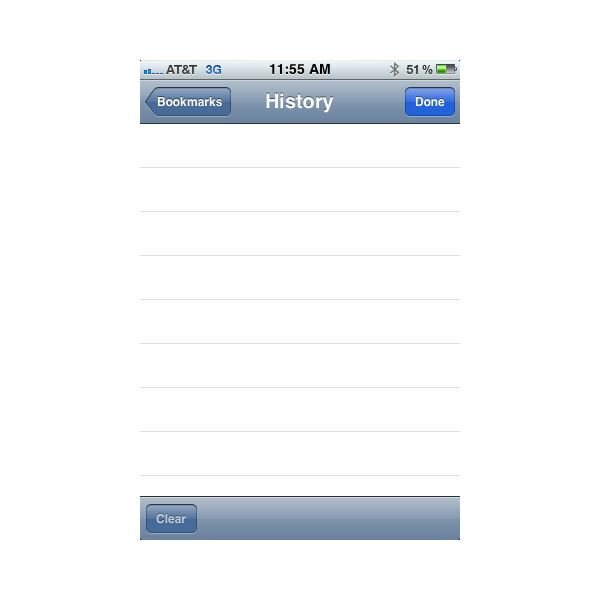 After installing this free cydia tweak Safari won’t be able to track your Web Browsing History any more. There will be no history to show for other people on your device. These were our picks for Best 5 Web Browser enhacing Cydia Tweaks for iOS 7. Any queries and additions would be welcome from you, in the comments below. You can also register your email to get the top articles on Cydia every month mailed to you. There are some additional Web Browser Tweaks that we mentioned in our previous post called Top 30 Best Free Cydia Tweaks for iOS 7 to iOS 7.1.2 Pangu Jailbreak, go to the link to find them.